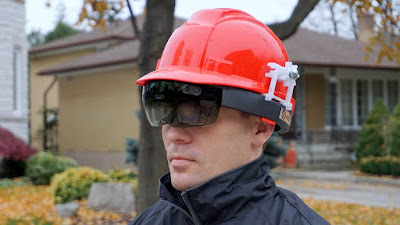 Several years ago, Microsoft released their introduction into the mixed reality headset market with the Microsoft HoloLens. The headset, which looks like a pair of bulky, futuristic sunglasses, was touted as a game changer to many different industries. After teaming up with Trimble to directly tackle the construction industry and developing a couple construction technologies for the headset, construction companies have still been extremely hesitant to try out the technology.